Our high elevation family orchard and longer growing season produces the sweetest, largest, most flavorful cherries you’ve ever tasted. Pre-order today and receive hand-picked cherries from our first harvest of the season! These are the cherries you remember from childhood. Sweet, dark and succulent, Bing is the king of cherries and the most well known. Milder than Bings, these yellow cherries with a bright red blush are the sweetest of the bunch and a favorite for dessert. These late bloomers boast the flavor of Bings, but with a colossal size. Many farmers mistakenly pick these early, but their sweetness and size can only come from remaining on the tree. This large, round cherry is a deep dark red, almost black in color with bright green stems. The fruit is firm and crisp, and is a sweet as its color is rich. This sweet cherry is a cross between Van and Newstar. This large, bright red cherry matures later in the season, one week after Lapins for early August enjoyment! The Regina is a new cherry from Germany. Like the Honeycrisp apple, this deep-red cherry is sweet with a firm crunch and is quickly becoming a new favorite. Vans are for those who like their cherries with a little kick. 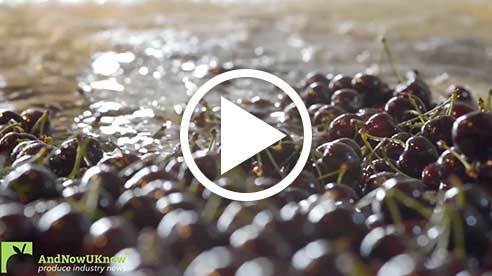 Sweet and tangy, these black cherries tend to be delicate and should be eaten right away.